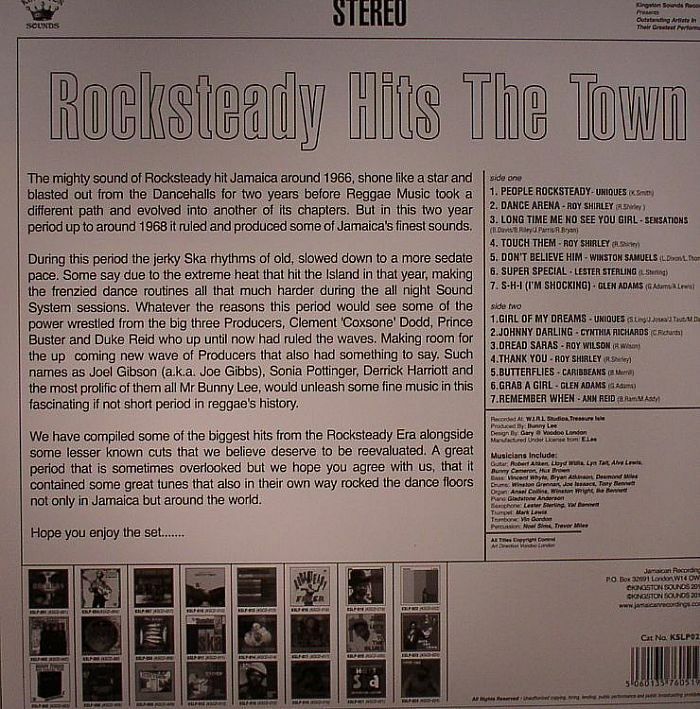 VARIOUS Rocksteady Hits The Town vinyl at Juno Records. 1. 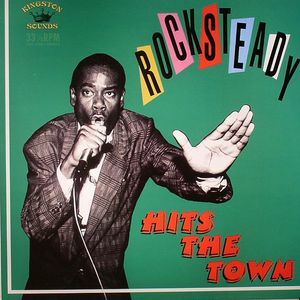 Uniques - "People Rocksteady"
2. Roy Shirley - "Dance Arena"
3. Sensations - "Long Time Me No See You Girl"
4. Roy Shirley - "Touch Them"
5. Winston Samuels - "Don't Believe Him"
6. Lester Sterling - "Super Special"
7. Glen Adams - "S-H-I (I'm Shocking)"
1. Uniques - "Girl Of My Dreams"
2. Cynthia Richards - "Johnny Darling"
3. 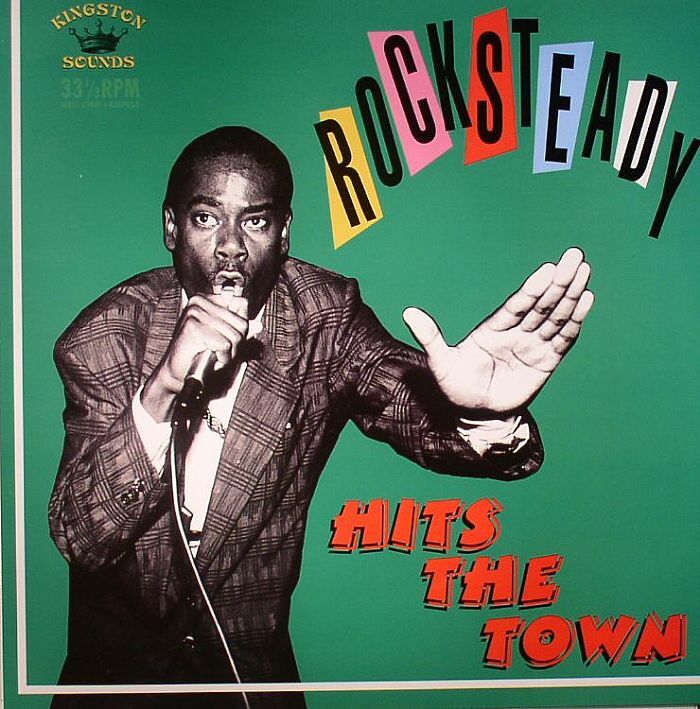 Roy Wilson - "Dread Saras"
4. Roy Shirley - "Thank You"
6. Glen Adams - "Grab A Girl"
7. Ann Reid - "Remember When"